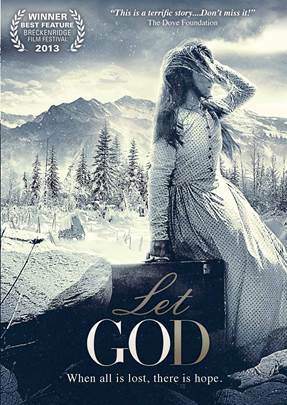 “Let God” follows the story of young housewife, Amelia, who heads west with her husband during the 19th century gold rush and is left alone without resources in the harsh wilderness when her husband is killed in a savage attack. Battling winter, hunger and the unknown, Amelia must take life into her own hands as she struggles with a loss of faith and battles for her survival. Word Entertainment released the film on February 25 on DVD. For further information about the 91-minute DVD “Let God” and to view the trailer please visit wordfilms.com. The Attic Film Festival showcases independent Christian-based films of faith, hope and redemption. The festival will take place at the Alamo Drafthouse, Lakeline location today and tomorrow and will showcase 28 films including “Let God.” In addition, TAFF will hold Q&A session with the films’ cast and crew. The Attic Film Festival’s Family Filmmaker Dinner and Awards, presenting the TAFF Awards, was held on April 3. For further information please visit www.atticfilmfest.org.